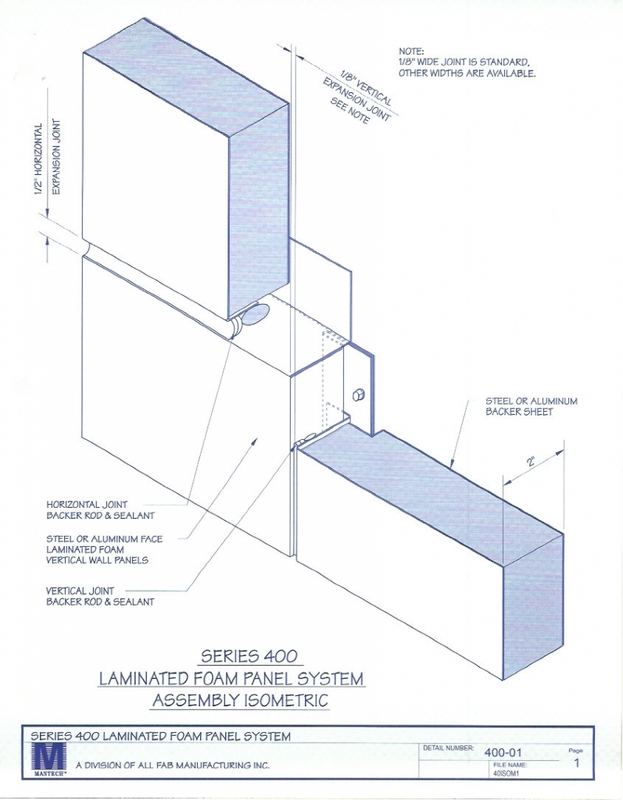 General Specification for Series 400 Foam Panel System – Mantech – All Fab Manufacturing, Inc.
A) All factory fabricated, furnished, finished, and installed steel or aluminum faced, foam insulated, wall panels forming the exterior wall panel system. 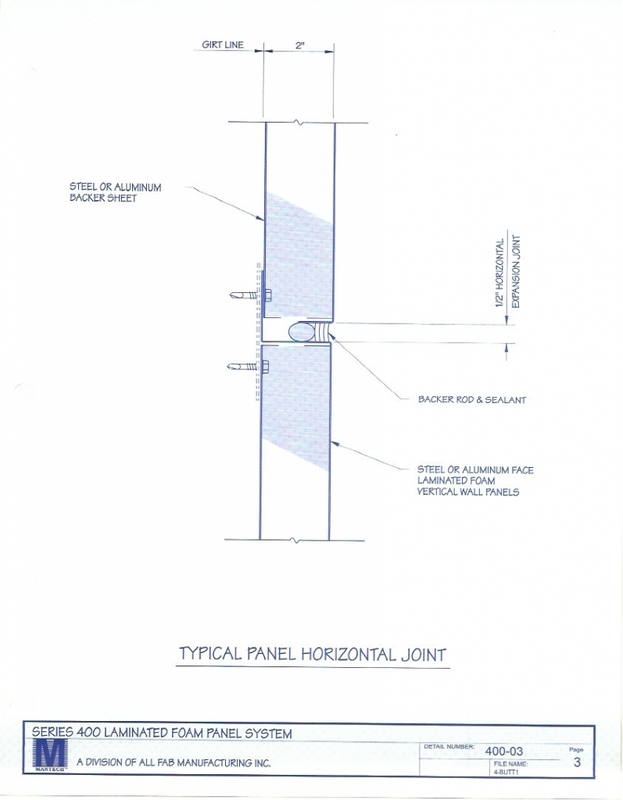 B) The 1″to 2″ thick custom laminated foam core panels are available in a variety of widths, lengths, special curved radius, and right angle corners to assist you in designing traditional or custom accenting wall systems design. 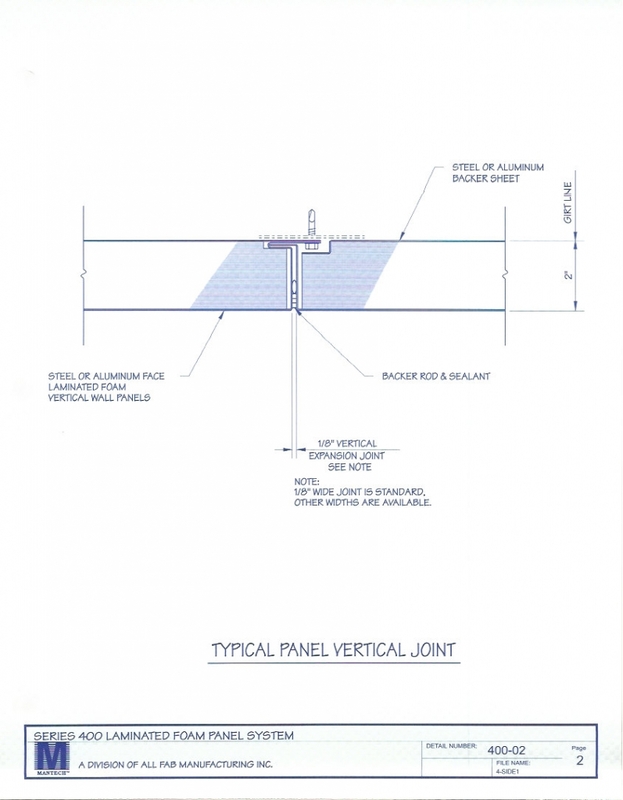 A) Products meeting the following specifications establish a standard of quality required by MANTECH, a Division of All Fab Manufacturing, Inc., Belgium, WI. 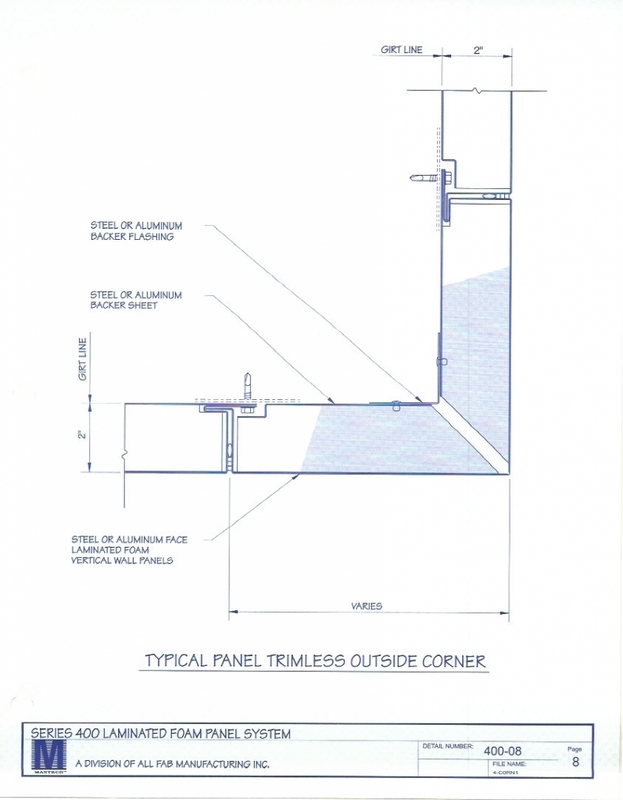 B) When possible, field measurements should be taken prior to completion of shop manufacturing and finishing. Shall be formed of 22, 24, or 26 gauge galvanized steel or .032″, .040″, or .050″ aluminum, smooth finish or stucco embossed pattern. Primer – Each side of both the interior and exterior face panel shall be coated with a dry film thickness of 0.3 – 0.4 millimeters, suitable for finish painting or lamination. Exterior Paint Finish – Commercial quality, 70% Kynar 500 / Hylar 5000 based flouropolymer paint finish system of 1.0 = 0.1 millimeters total dry film thickness. 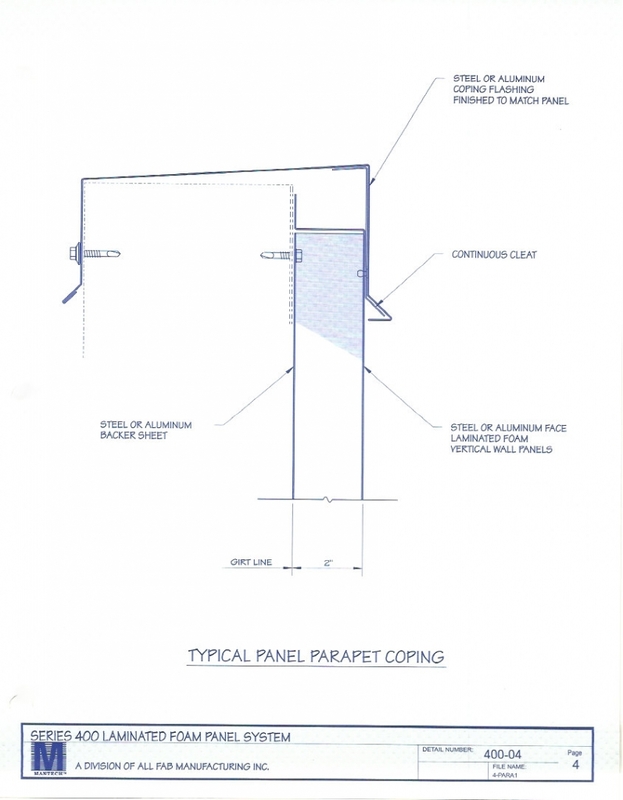 The liner face panel, with a finished surface of galvaneal shall be made of 24 gauge , hot dipped, galvanized steel or .032″ thk. mill finish aluminum with chromate conversion coating, making the sheet suitable for painting or laminating (coating meets A. S.T.M. B449-Class II specifications). Modified isocyanurate closed cell, 2.0 pcf or expanded polystyrene with a minimum density 1.0 pcf. The spray grade, moisture cured urethane laminating adhesive produces a semi-hard, semi elastic bond which is especially well suited with the use of paper Foam. Urethane adhesive provides an excellent resistance to heat, cold, and moisture approved as a Type II, Class 2 adhesive by the International Conference of Building Officials (Refer to ICBO report No. 3462). A) Furnished shop drawings complete with details of all major interfaces and periphery conditions. 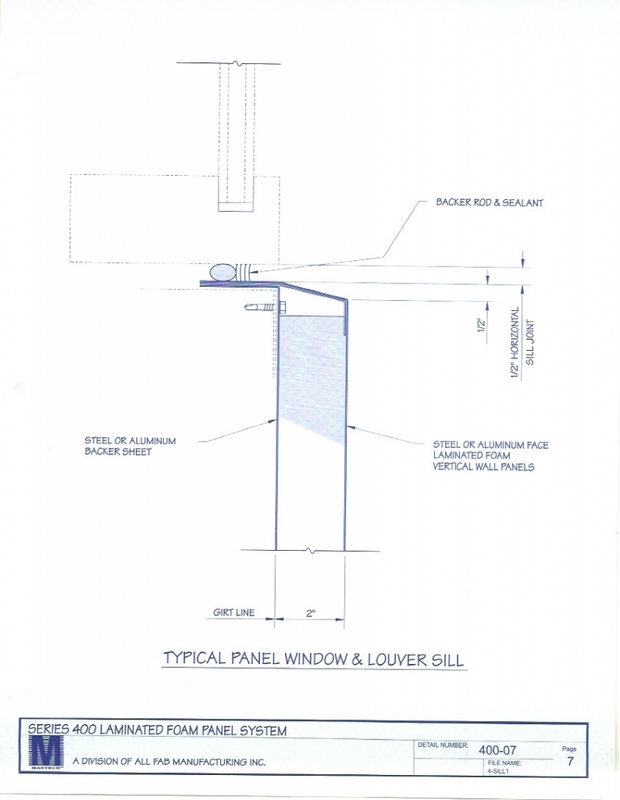 B) These shop drawings serve as field installation drawings with specific instructions of attachment of trim, clips, fasteners, miscellaneous hardware, and location and type of sealant. 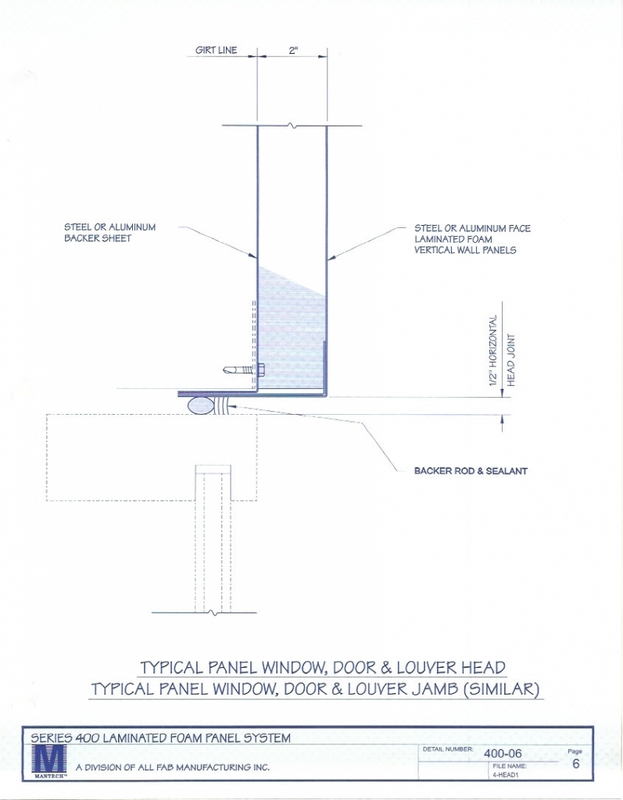 Also, these drawings include any other details to insure a proper weather tight installation. 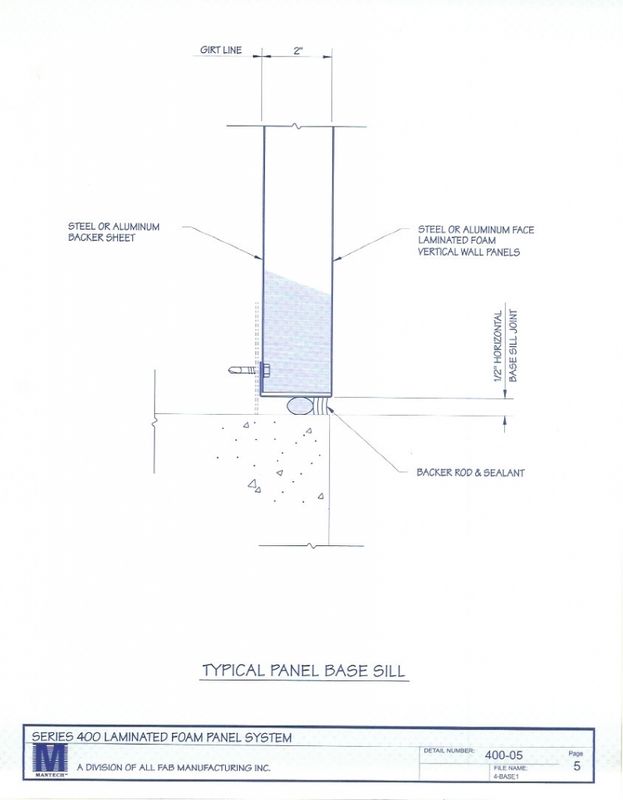 A) The panel system shall be installed externally with non-exposed fasteners and a continuous metal back-up plate. The metal back-up plate is placed behind adjoining side panel joints to insure proper placement of foam backer rod and caulk sealant.